Rosa's Yummy Yums: DRIED FIG TORTE - A GUEST POST BY PETER FROM "SOUVLAKI FOR THE SOUL"
DRIED FIG TORTE - A GUEST POST BY PETER FROM "SOUVLAKI FOR THE SOUL"
Today, I have decided to interrupt my little holiday hiatus in order to present to you a Australian blogger who lives in the inner city of Sydney (New South wales) and whom I admire a lot. Peter Georgakopulos is of Greek descent and is the talented man behind the uniquely amazing blog "Souvlaki For The Soul". I have been a big fan of his since a quite a while (a few years at least) and have seen how he developped his skills in order to become the accomplished cook and photographer that he is now. Peter's pictures are perfectly staged, full of personality and sensitivity, mindblowingly beautiful as well as gorgeously moody, and the Greek-inspired recipes are always refined in their apparent simplicity and homeliness, absolutely tempting and straight-forward. There is a certain sincerity, brilliance, zenitude and peacefulness behind his magazine-like creations. Needless to say that I am extremely thrilled by the prospect of sharing one of his lovely posts on Rosa's Yummy Yums as it is a real honor as well as pleasure for me to introduce him to you, dear readers and to be able to host his remarkable work here. As usual, you have outdone yourself. This irresistible torte is fabulous and your clicks are just out-of-this-world. I’m very excited and honoured to be doing a guest post on Rosa’s blog today! I know it's been said like a million times but the Internet really has the power to connect people in the most unusual ways. Here I am-an Australian of Greek descent writing for a blog colleague and friend of Swiss/Anglo descent in Switzerland! You’ve got to love the times we live in! However, I'm not here to ramble on about social media and the like. I'm here to share a recipe with Rosa and all her wonderful readers. I know Rosa loves Middle Eastern and Turkish foods. And I also know how she loves a sweet treat every know and then. Just take a look at her stunning recipe for "Viennese Sachertorte" or her delightful "Spicy Dasmson Plum Roly Poly! So, I thought I'd make myself comfortable in her blog and share with you a recipe for my dried fig torte. There's something quite magical and even sensual about eating figs. Every time I bite into one, it's like I'm biting into a piece of honeycomb. I adore their natural, sweet taste. What I enjoy even more are dried figs. Once these morsels have been kissed by the sun they take on a stronger, caramelised flavour. It's this intensity that drives my taste buds crazy. They're great to snack on, fantastic with yoghurt for breakfast and they provide a great ending to a dinner party when presented with a cheese platter. You gotta love their versatility! I have to admit I'm a bit of a “cake man”. Give me a slice of cake with a little whipped cream and I'm a happy camper. This "Dried Fig Torte" is just perfect with a nice “cuppa” in the afternoon. The batter uses a little almond meal to make it moist and the part I love the most is taking a bite and finding bits of dried figs in the mix. Pair it up with some whipped cream that has been blended with ground cinnamon, serve it with a good drop of muscatel dessert wine and you have nirvana! Just a note: I used “Greek” dried figs for this recipe (I sourced these at a local shop). If you can't use dried figs then use fresh ones or some other dried fruit. The cake itself is quite accommodating to any flavour. That's the beauty of it. Hope you enjoy the cake Rosa! Recipe has been adapted from here. 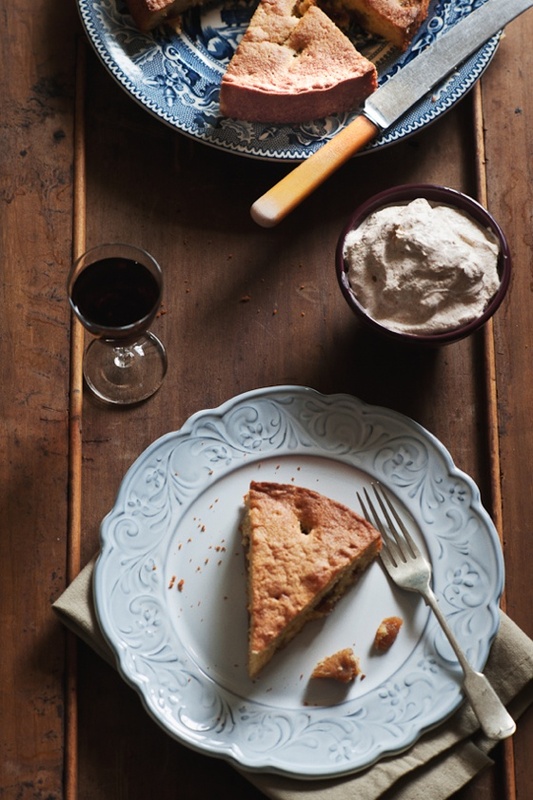 The photos are gorgeous, and even though I'm not a fan of figs, I may need to make this torte! I just saw this on Peter's website. It looks so delicious, although I wanted to ask.....do you think it would still work with all almond meal (as I am sadly gluten intolerant and gluten free flour tastes horrible)? Ô combien j'imagine aisément ce magnifique gâteau au coin du feu! I know Pete travels alot but now this...traveling through blogs...love it! Great looking tart with my fave fruit...figs. Two of my favourite food bloggers and friends and priviledged to have personally met both of them. Yes, blogging is great. The cake sounds amazing and figs are my favourite. Unfortunately this year I had to stay away from them due to diet, as they are high in calories. Beautiful writeup with a lovely recipe..
De toute beauté Rosa! J'aime beaucoup les ingrédients que compose cette torte! Thank you Rosa for introducing us Peter, I can't wait to check his blog and his pictures out. Peter, we share the love for figs, fresh or dried! I think that people who don't appreciate figs miss an amazing treat. Your photos are amazing, and can't wait to try the recipe. The pictures tell a whole story. Really beautiful. Thank you for introducing Peter's blog. I also prefer dried figs and while reading this recipe I have realised how the almonds' and figs' combination was obvious. It sounds easy and luscious! This torte is quite impressive and looks amazingly good! well done, and really the pictures are beautiful! that last photo with the recipe is really nice. I have been admiring Peter's blog for a while and his pictures are always gorgeous. He is a true inspiration to me. 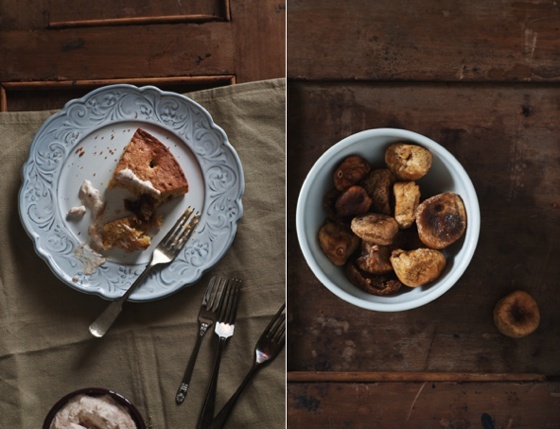 Gorgeous photography and fig torte looks really delicious. I love figs in sweets! What a beautiful dessert to enjoy with a nice glass of port or brandy. Yum! It is high time I try a fig cake, after the fig balls and fig brioches; this recipe is simple and refined; beautiful clicks too. Looks delicious! Good to know that one can use either dry or fresh fruit. Thanks for wonderful post. Cela donne envie de poser son doigt sur les miettes et de grignoter telle une petite souris. Une bien belle tarte, ton blog est merveilleux, toutes ses photos j'en reste baba. 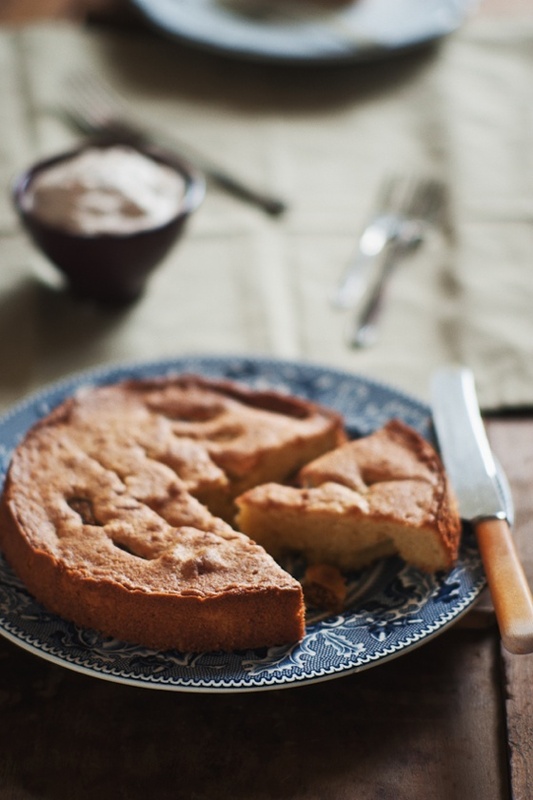 I love Peter's blog and this fig torte looks and sounds absolutely scrumptious! Beautiful words and pics, Peter. Thanks for this guest post, Rosa. Great job, Peter. Oh I love figs! and it is the season. Beautiful photography and lovely styling. Well worth your break for sure Rosa. Nice post Peter. Peter's work is stunning! I've been a fan for a long time. It's so wonderful to see him here :D And that torte looks amazing. What an adorable post. Pleased to meet you Peter, I love your fig torte! I, too, prefer a dried fig over a fresh one. Lovely cake. Lovely guest post! Rosa, thank you so much for introducing us to Peter! And Peter, what a gorgeous torte. I also adore figs for their enchanting quality. Rosa, Peter is a great choice to have as a guest blogger. I love figs, I love cake too, especially for breakfast and I can see this with a nice cup of tea. Great guest post with wonderful pictures of a delicious cake! So nice to see you here too Peter and isn't the internet an amazing thing? I love the way it connects people around the world in ways I wouldn't have thought possible not too long ago! Really like Peter's blog, a treat ! The cake has the perfect autumnal flavours ! Love Peter's blog and glad I was able to find yours become of that. Love this torte and the use of figs. Absolutely delicious and splendid clicks! What a beautifully styled guest post! This looks like a great fall treat! Très bonne idée ce guest post, je ne connaissais pas le travail de Peter mais ses photos sont superbes, très appétissantes ! i clearly don't have enough figs in my life. lovely treat, peter! Enjoy your holiday Rosa but thanks so much for the guest post. I love Peter's photos and recipe. Some comforting and tasty. It's perfect because I was looking for a good dessert with figs. Fabulous guest to have over Rosa, and what a special cake indeed. I have some Indian dried figs awaiting their fate. maybe the time has come. Stunning photographs and a beautiful post! NICE!! This does sound perfect with a cup of tea! I love the texture of dried figs too. Beautiful pics. I can never get enough figs!!! This looks great. I can just imagine how good this tastes with the flavors of dried figs, beautiful. Thanks for introducing Peter to us, Rosa! I love figs in any form or kid and this torte looks so yummy and delicious!! What a beautiful cake and post! I am a huge fan of Peter's blog, so the that fact that he's guesting on another favorite blog of mine is amazing. :) Thanks this is! You just have to love Peter and his cakes! 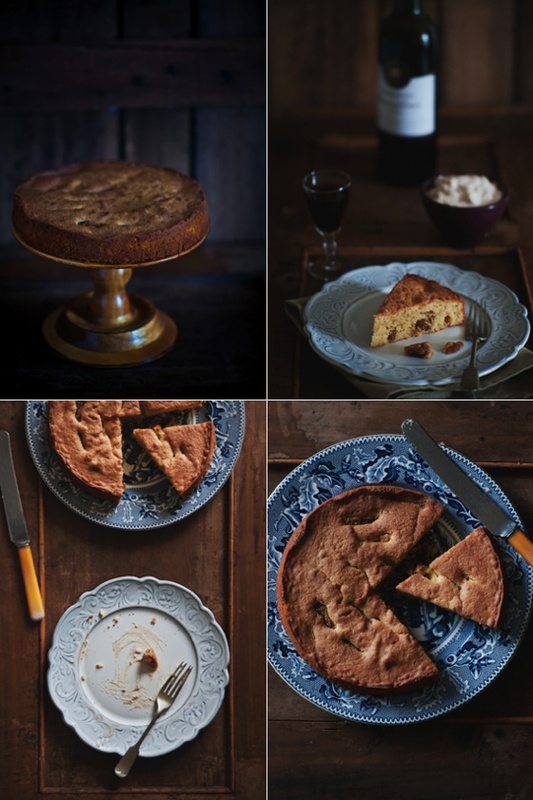 Dry fig torte looks fabulous...and the pictures are amazing. Lovely post Rosa.... ! Happy Halloween to you and hope you are enjoying it in full spirit....enjoy ! What absolutely fabulous photography - just amazing! I love Peter's blog and have been reading it for some time now too. Figs go so well in cakes such as this, I often make my Dad Vanilla & Fig cupcakes for his birthday, but I think this will have to be the cake I bake next year! Les photos sont de plus en plus belle Rosa, ainsi que cette nouvelle mise en page. J'aime également beaucoup le blog de Peter. I love those photos...very different. The cake looks pretty too. 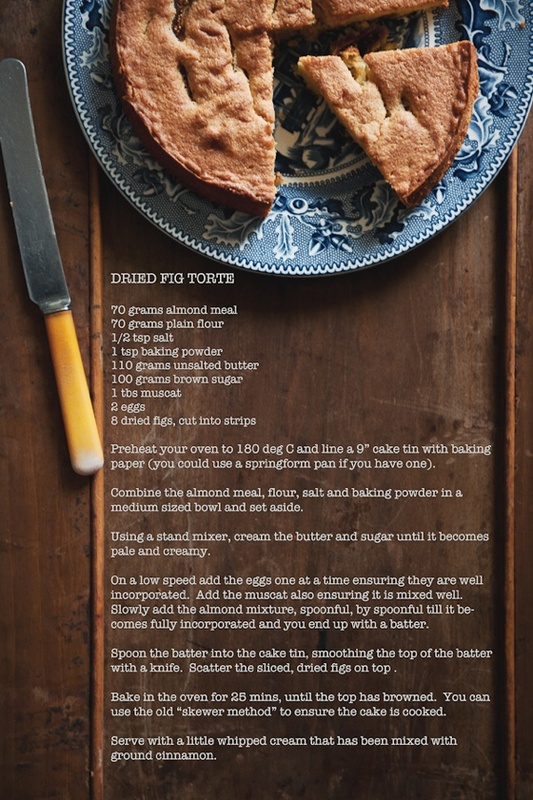 What a wonderful guest post..Peter's blog is so beautiful and this torte looks wonderful as usual..Hope you are having a nice break Rosa! Great torte. Love anything that includes almon meal. Rosa, you pick the right guest post! I always adore Peter's work. Lovely! This is super inspired food photography - I'm so glad I stumbled across this blog, and thanks for turning me on to Souvlaki for the Soul! Soy fans de los higos me encantan,receta exquisita y excelente elaboración,fotos espectaculares,abrazos grandes,hugs,hugs. Superbe!! un invité de grande classe sur ton blog Rosa..
Beautiful photography! And, that cake sounds splendid! I absolutely adore Peter's blog and this fig torte scrumptious! Beautiful guest post. That looks SOOOOO good. I love figs! two of my very favorite bloggers meet. what can get more wonderful than this. i am blown away by this simple hearty dessert and Peter's photographs! Elle a l'air bonne cette tarte aux figues! Parfaite avec une tasse de thé! Perfection, love that you can use dried or fresh!! the pics rock!! I don't think there's a better or more exotic fruit than the fig. Great looking dessert. Lovely to have a Greek/Australian on your blog. Wonderful fig torte and photography! The first photo makes me wish I had long, stretchy arms, to reach that unsuspecting slice on the plate. I always admire Peter's beautiful photos and rustic cooking and this cake is a perfect example of what makes his blog so exceptional. Hi Peter, nice to meet you here. Your cake is delightful and the photos are wonderful! Rosa, you got a winner of a post for a guest blogger. Dried figs in wintertime are always a treat, and using them in this delicious cake is just what I shall do.